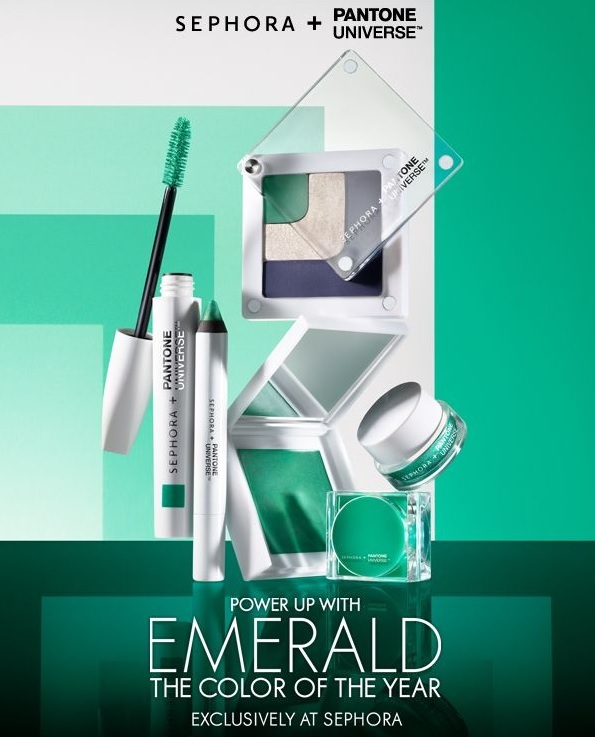 The Pantone 2013 Color of the Year is Emerald (Pantone 17-5641)! 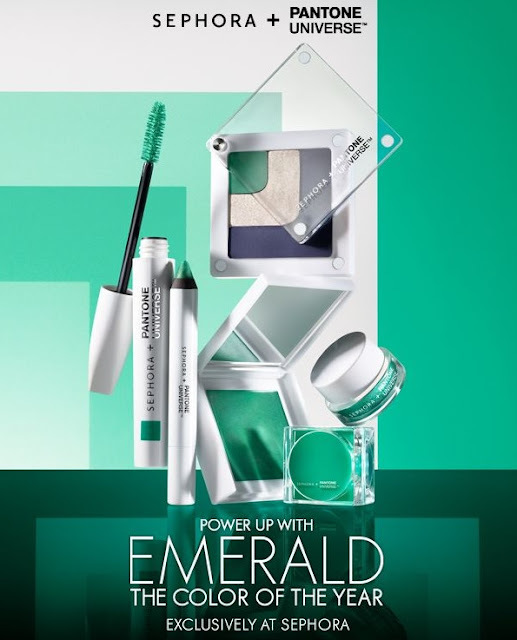 The Sephora + Pantone Universe Color of the Year Emerald Collection is available exclusively at Sephora, featuring a green-blue hue and inspired by the many facets of a gemstone. The eye shadow, blush, eyeliner, lip gloss, mascara and nail polish can be worn subtle or saturated, with matte, metallic and lacquer finishes. Shop the limited-edition beauty collection here.